A pilot scheme aims to cut rates of tooth decay among Lancashire’s youngsters. Dental teams met at Preston North End last week to launch ‘Starting Well’, a government programme to better children’s oral health. The aim is to persuade the parents of hundreds of under-fives who have never seen a dentist, to attend regular check-ups. • Community dental teams to visit children’s centres to set up tooth brushing clubs. • Toothbrushes and flouride toothpaste packs will be given to children at risk of tooth decay. • Dentists will hold open days throughout the year to increase the number of under-fives attending check-ups. Dr Rebecca Wagstaff, deputy director of Public Health England, said: “Oral health is improving but too many children still experience pain, discomfort and days off school due to dental decay – particularly in deprived areas. “In the North West, higher levels of deprivation, child poverty and inequality have a significant impact on children’s dental health. 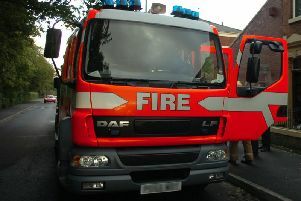 Blackpool and Blackburn with Darwen were named among 13 areas most in need. The Department of Health said more than a quarter of children under five suffer from tooth decay. In 2016, only a third of children of that age had visited a dentist and 26,000 were admitted to hospital with rotten teeth – the most common reason for hospital admission in under-nines.